How can not-for-profit organisations cut through in a cluttered market to get their message out? PR and marketing expert Caroline Catterall delivers her top five reasons why NFPs need to think about content marketing. According to JBWere’s Cause Report (2016), there are more than 56,894 NFP organisations in Australia. That’s one NFP for every 422 individuals with around 10 new charities being established every business day. Each is vying for attention and in most cases, the disposable income of businesses and consumers. So how can you cut through the cluttered market? 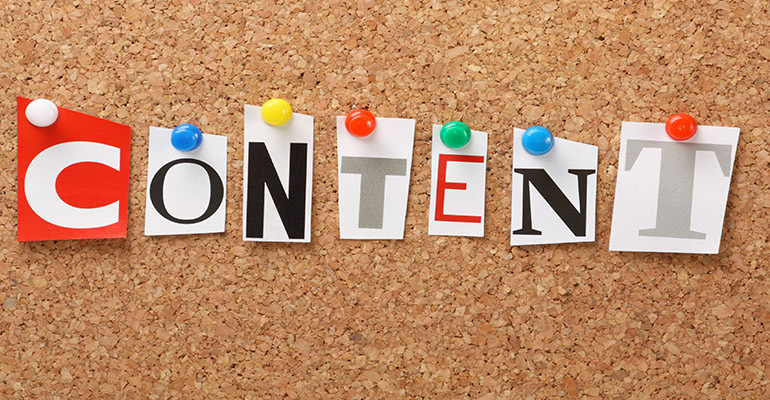 Here are five reasons NFP’s need to think about content marketing. A lot of NFPs turn to PR as their first port-of-call for raising awareness and ‘getting their story out there,’ and for good reason. PR is comparatively inexpensive when compared to other forms of marketing, and can be an incredibly effective way of building empathy and an emotional connection with your audience. The truth is when PR works, it works well. The impact a well-positioned, on-message piece of editorial can deliver is second to none. But what happens when you run out of news, want to deliver a more commercial message, or want complete control over the timing and delivery of your message? Some NFPs will reach a point in their communications lifecycle where they hit the point of diminishing returns with PR. The first headline published about the brand was powerful and exciting, it brought the NFP to the surface of consumers’ awareness and created substantial value for the organisation. As you continue to flex the PR muscle however, the results can start to become less substantial. This can happen for a number of reasons. While it’s sometimes possible to ‘refresh’ a PR program and come up with new angles the media is more interested in, an NFP’s objectives might not always line up with the media’s agenda and this can throw your message off-track. That’s why we advocate a combined earned and owned strategy, that combines PR with brand publishing and content marketing, to allow NFP clients to be more in control of their communications. A well-balanced ratio to keep in mind is 40/60. For an emerging NFP that needs to sustain its profile but must also think and act commercially, we recommend 40 per cent of the total budget be dedicated to earned media, and the remaining 60 per cent to content creation and marketing. Owned content can be used, reused, dressed up, broken into bite size pieces and circulated year-round. Through our work with Red Nose (formerly SIDS & Kids), we developed a suite of owned content assets that turned into an award-winning campaign. The content was pushed out via a public relations campaign, hosted on their website, used in eDMs, leveraged extensively across their social channels and broadcast for a number of months as a community service announcement. Content is no longer a nice addition if you happen to have extra budget, it’s a highly consumed information source. Russell Sparkman of FusionSpark Media says that “non-profits have to make budgeting for content a priority when creating their budgets; the reality of the world we live in today is that content for advancing non-profit goals is as essential as oxygen is to breathing. It can’t be an afterthought or a task relegated to the when-we-can-afford-it shelf”. According to Forbes, global Internet traffic from videos will make up 80 per cent of all Internet traffic by 2019 and four times as many consumers would prefer to watch a video about a product or offering than read about it. But of course, there’s no point serving up your own content if it’s not going to hit the intended audience or get a reach that justifies the cost of producing it. That’s why brands need to become their own publishers and start to look at their digital assets – namely their core website and any microsites – as vehicles to drive traffic, and social media platforms as the way to rally and recruit an audience, alongside SEO and search marketing. Your social channels have the potential to reach prospective donors and advocate in the same way a media headline does. Even better, combine the two with SEO and you might just find that silver bullet you were looking for. 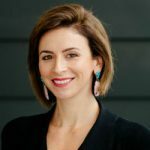 About the author: Caroline Catterall is the Founder & Executive Director of Keep Left, a PR and content marketing agency. With 18 years’ experience in the PR world, Catterall is responsible for the strategic direction of the agency. Great article and agree 100%. The main thing NFPs need to understand when they are sharing content is, it can’t just be about what they do and events/asking for money. Think of it as a relationship with your audience and don’t be afraid to share expertise that will assist your audience without asking for anything in return.